Heat 1tsp Oil and roast the Chilies until they are crisp. Remove and keep aside. Crush the Garlic pods and fry them until they turn brown in the same Oil. Drain and keep aside. 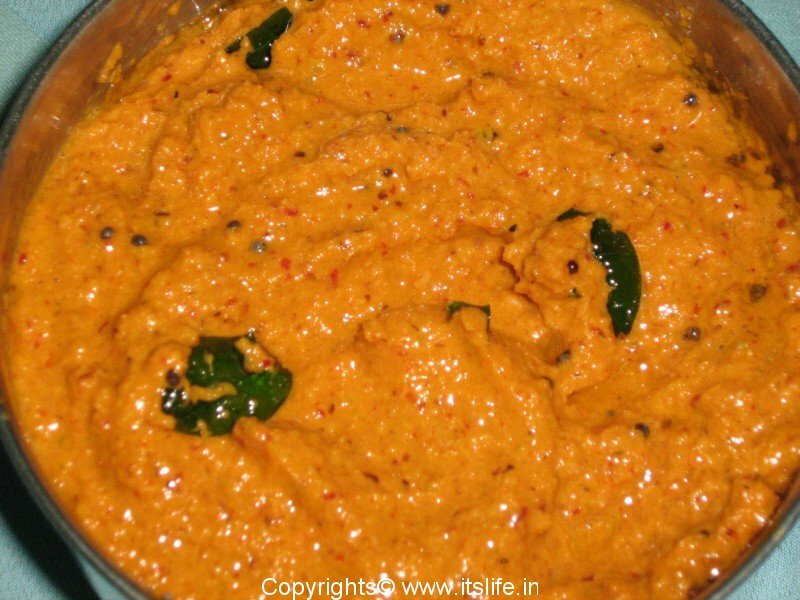 Grind the Coconut along with the Chilies and Tamarind to a smooth paste using as little water as possible. Add Salt and the roasted Garlic and grind to a paste. Remove the chutney to a bowl. Heat Oil and add Mustard Seeds. When the Mustard starts to splutter remove from heat and pour the seasoning over the Chutney. Mix well and serve with Indian Bread, Rotti / Puri or Dosa / Idli.